As part of an overall effort to make sure people have the tools to control their information, Facebook has introduced its new Privacy Basics, which shares tips for things like securing your account, understanding who can see your posts, and so much more. Facebook's Privacy Basics offers improved functionality and top topics based on people's most frequently asked questions about privacy and security. It is built using feedback from the Facebook community, with 32 interactive guides that are available in 44 languages. Privacy Basics gives you an idea what your profile looks like to others. It also allows you to set which information you want other people to see and give specifics as to who are allowed to see them. This is in league to making sure your account is secure. 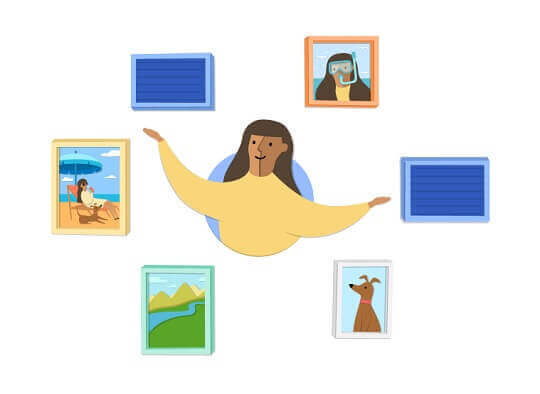 In addition to helping you build a connection with friends and family, either you're online or offline, Facebook also encourages you to take time and get to know yourself. 1. Take the Privacy Checkup. You'll walk through a few quick steps to make sure only the people you want to see your stuff can see it. You can review who you're posting to, which apps you're using, and the privacy of key pieces of information on your profile. 2. Choose who sees what you post. On Facebook, you can use the audience selector to choose who will see each of your posts — just your friends, everyone, or specific people you select. 3. Increase your account security by turning on login approvals. You'll get a unique security code each time you access your Facebook account from a new device. 4. Manage your ad preferences. Want to know why you're seeing a particular ad, or see more that are relevant to your preferences? Ad preference lets you control the ads you see so they are more useful to you. You can also hide a particular ad. 5. Check yourself. Ever wondered what your Facebook profile looks like to other people? You can use View As to preview what the public or a specific person, like a friend or a coworker, would see if they visited your profile.